The 6th annual Ledbury Hunt/Gather is almost here, and it's shaping up to be our best one yet! Get ready for a full day of live music, fly-fishing, and archery demonstrations throughout the day and food and drink from Virginia's finest purveyors, makers, craft breweries, and wineries. It's one of the best weekends of the year, and you're invited! 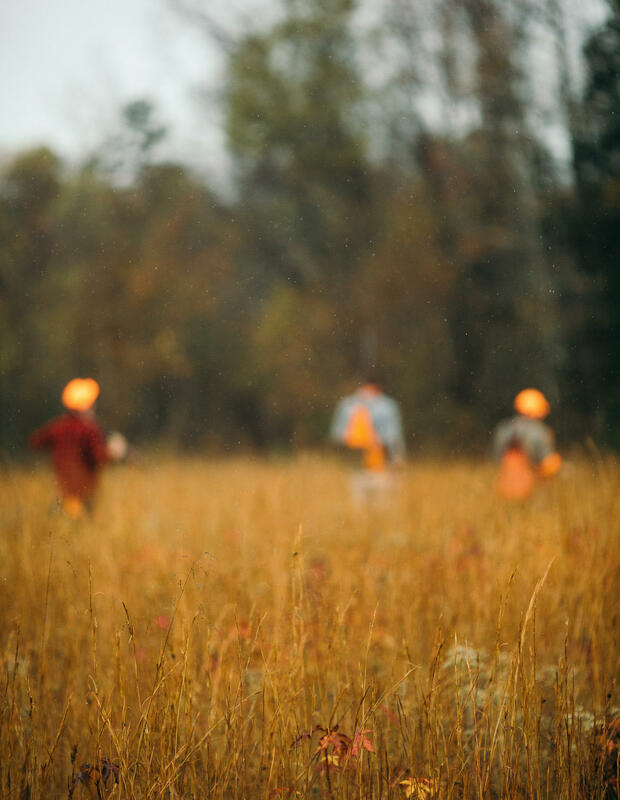 Hosted among the gentle rolling hills of Orapax Hunting Preserve in Goochland, Virginia, Hunt/ Gather is a celebration of food, fall, family, and friends. The Gather is an elevated field party highlighting the best the region has to offer in food, wine, beer, makers, and music. We'll kick things off at 2pm with an Autumn Olive Farms pig roast and dine-around with Gold Cart RVA and J.M. Stock charcuterie station, a Virginia Wine bar, Ironclad Bourbon bar, Hardywood beer station, and field activities like fly-fishing and archery with Virginia Wildlife. Common House social club will be hosting an elevated cocktail lounge, so be sure to stop by and meet their team. Plus, you'll have plenty of opportunities to shop with our brand partners: leather craftsmen Moore & Giles, cast-iron makers Blanc Creatives, and sporting gear by Tom Beckbe. Around 5 pm, we'll end the day with a bonfire and live music! The event wraps up at sundown. Orapax Hunting Preserve is just 30 minutes west from Richmond. Make sure to buy your tickets now, as space is limited, and we definitely want you to be there! The event is 21+ and children under 12 are free. If you want to enjoy that handcrafted cocktail, go ahead and bring your ID. We will be checking them at the door. The Hunt/Gather kicks off at 2pm and goes until sundown.